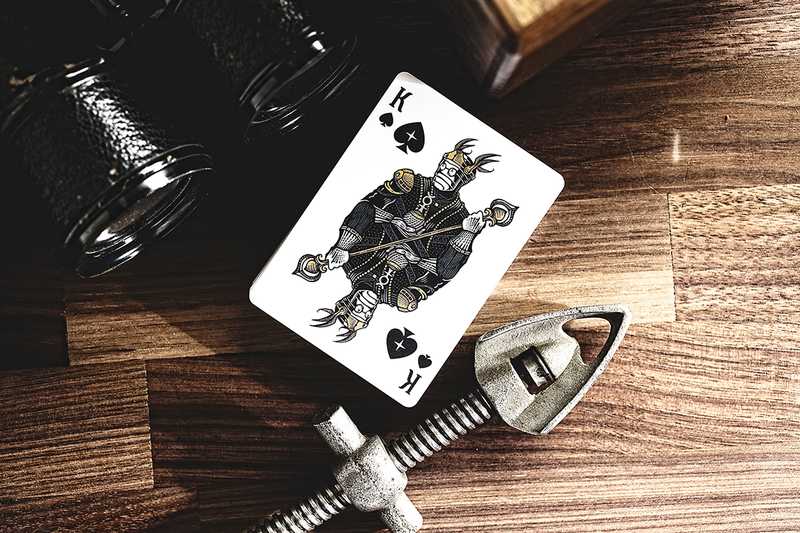 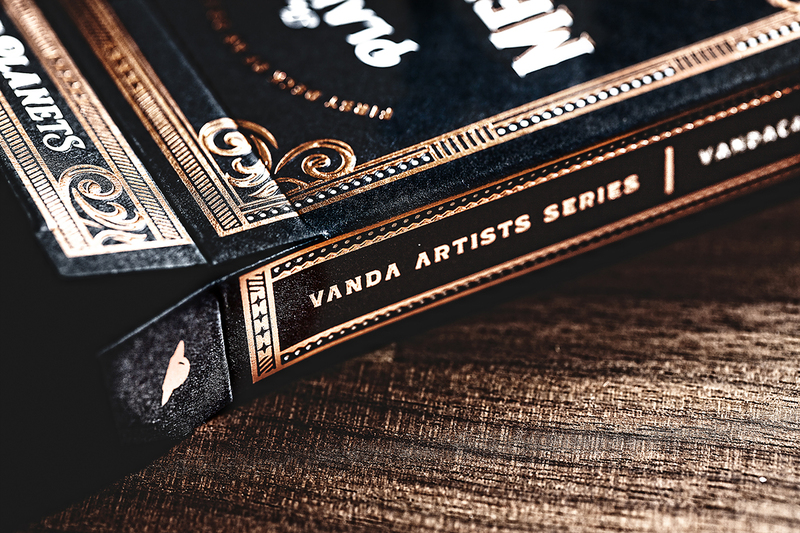 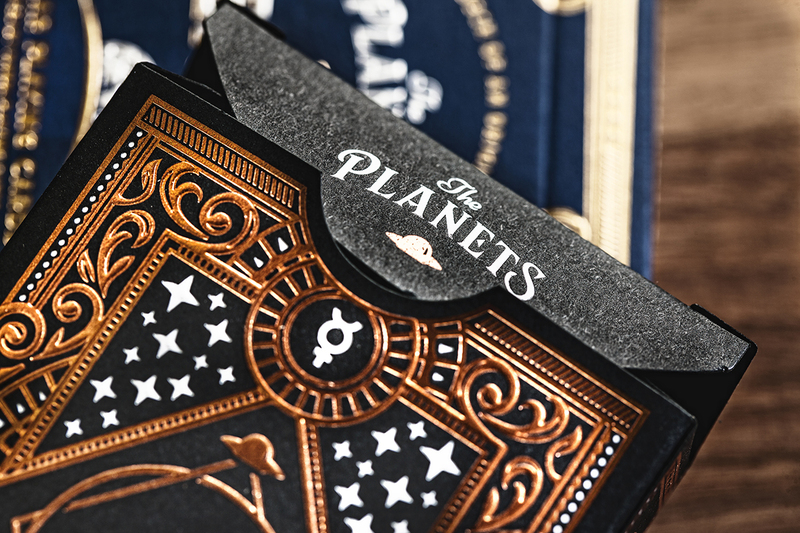 It's the first deck of 8 deck series called " The Planets" from Vända Playing Cards. 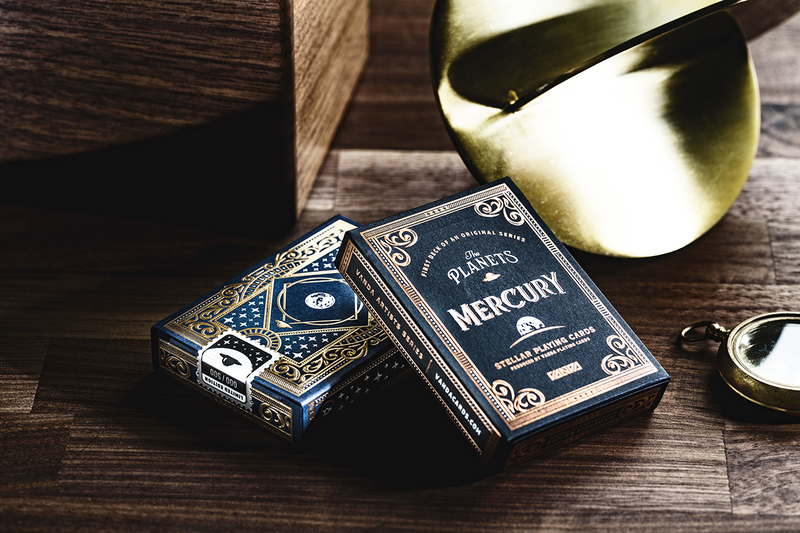 The Planets is a collection of decks representing the planets in our solar system, starting closest to the sun and moving outwards into the surrounding universe. 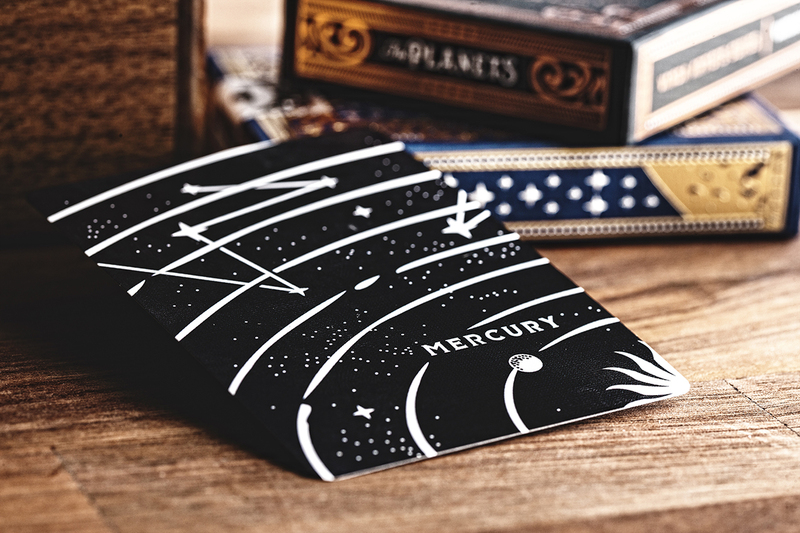 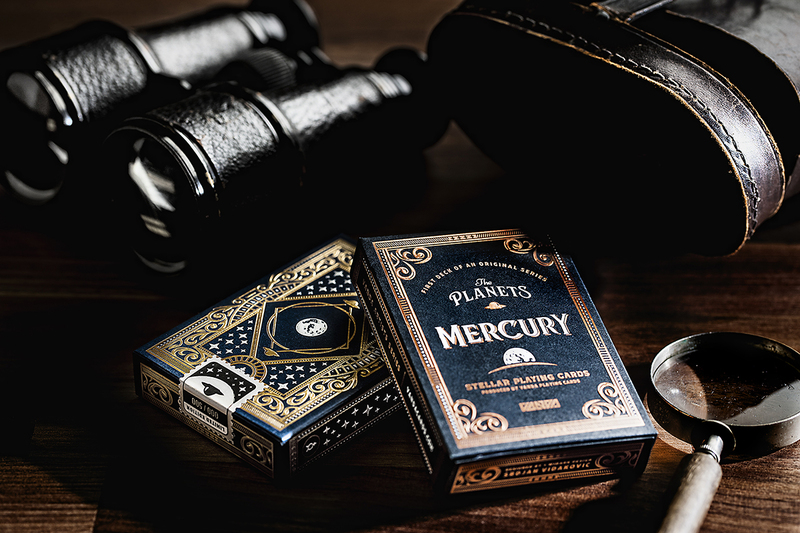 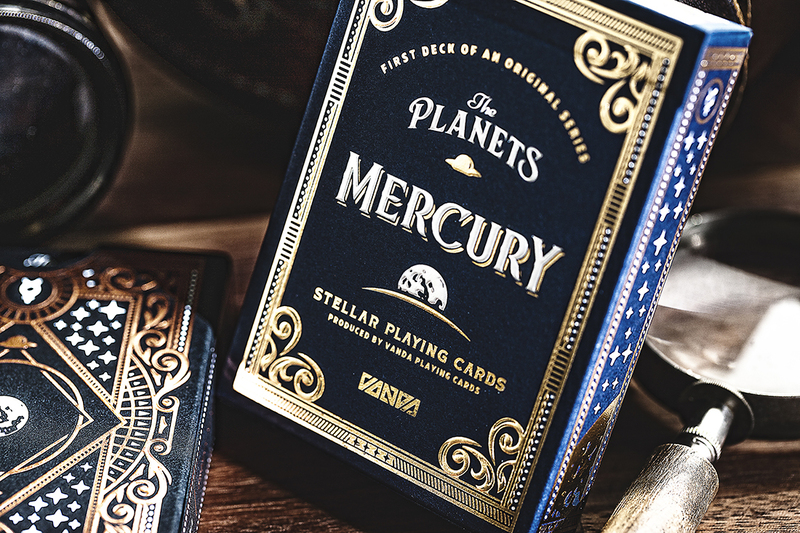 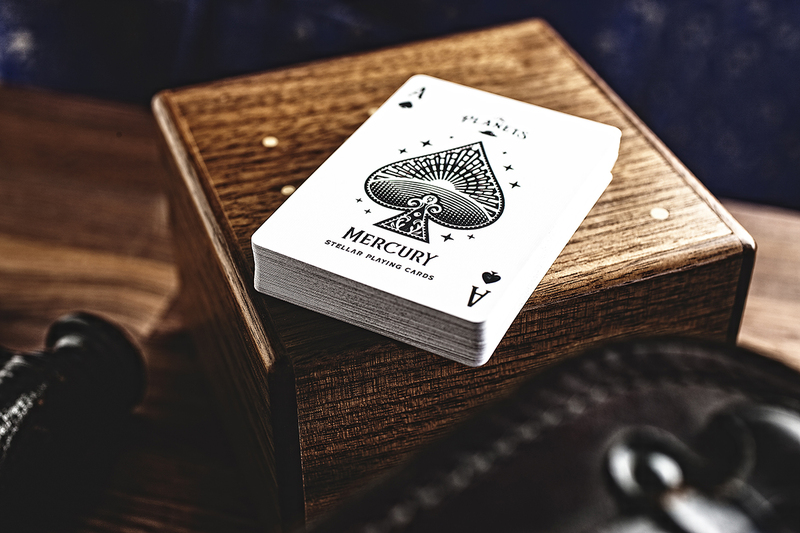 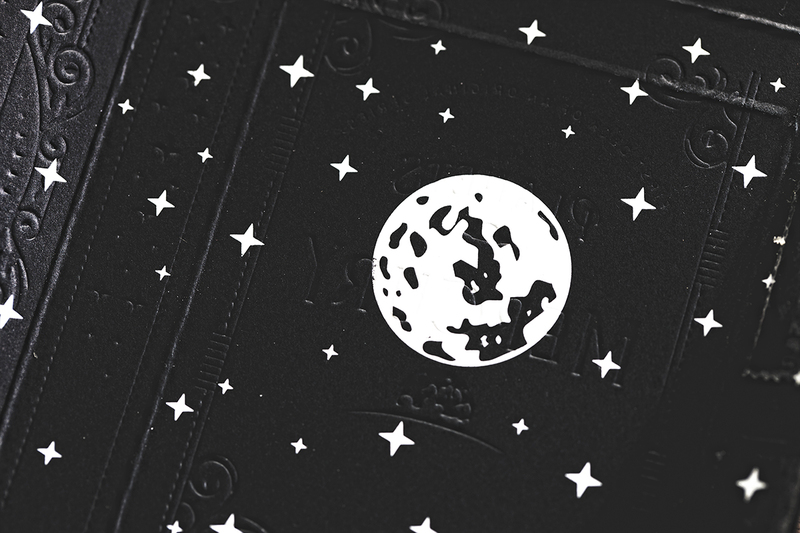 First planet from the sun, hence the first deck is Mercury, featuring creatures with stone-like heat-resistant skin. 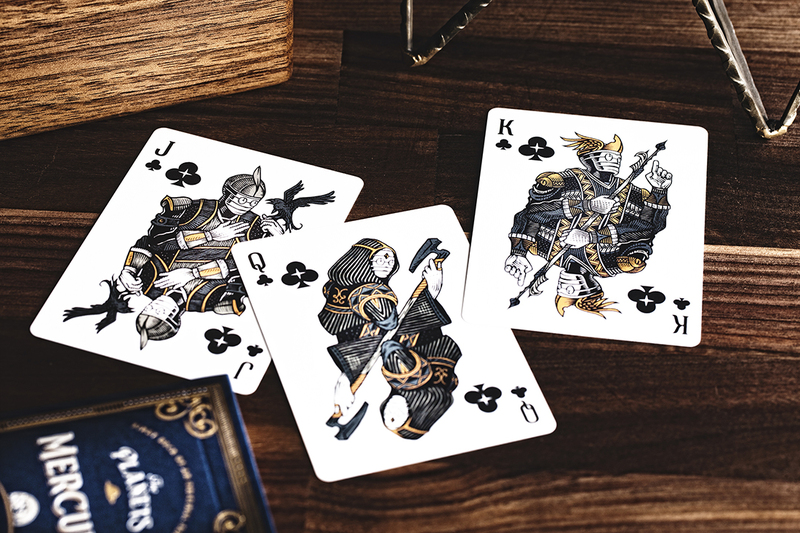 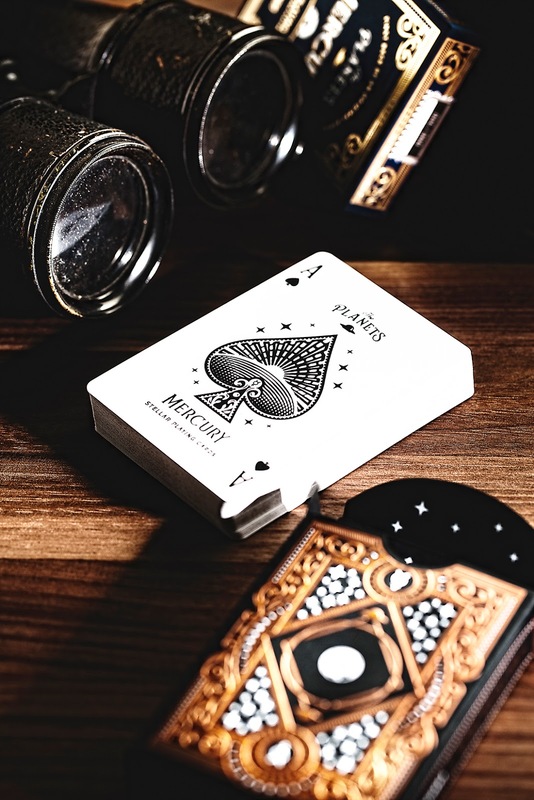 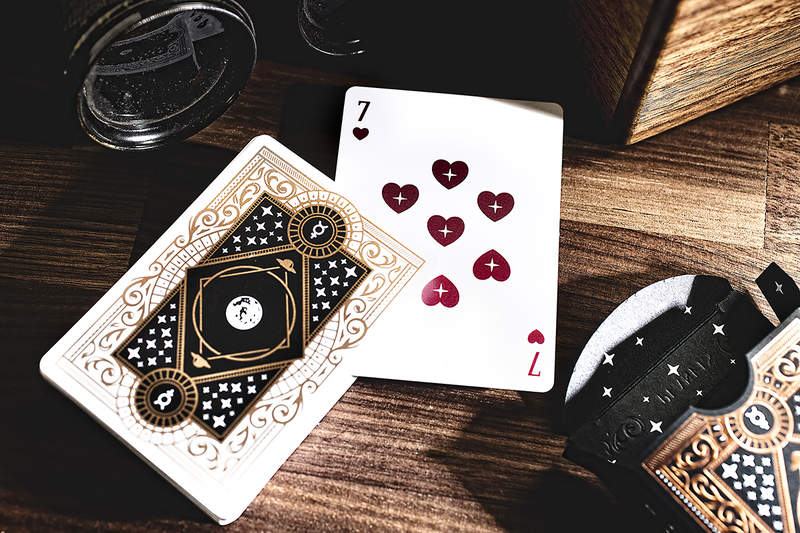 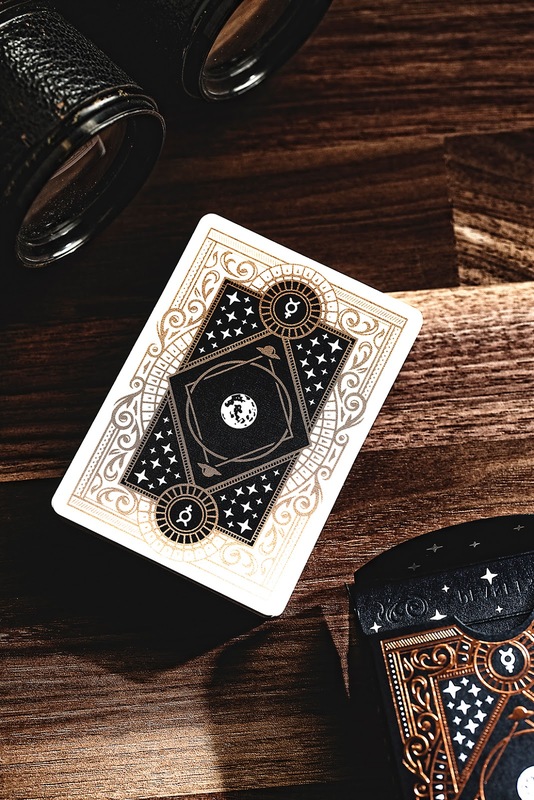 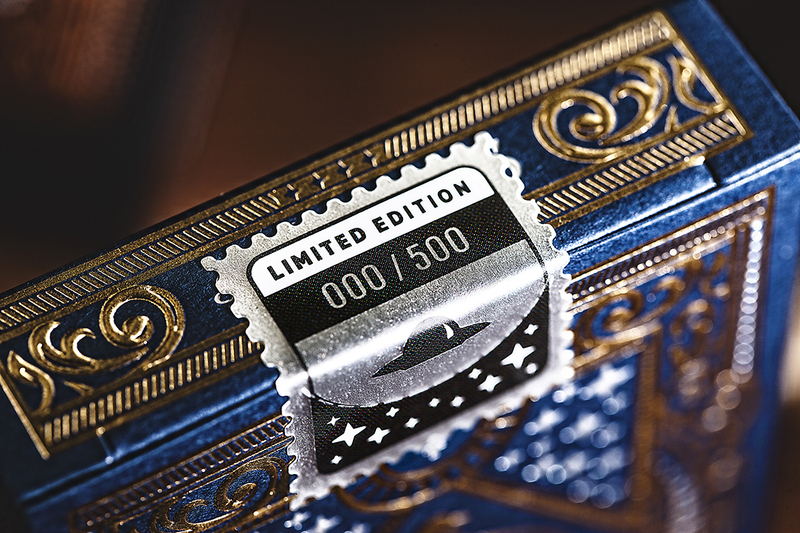 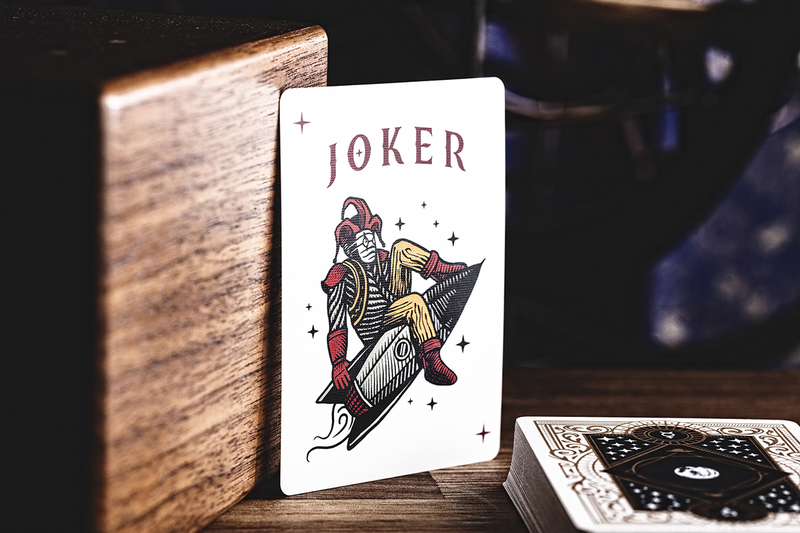 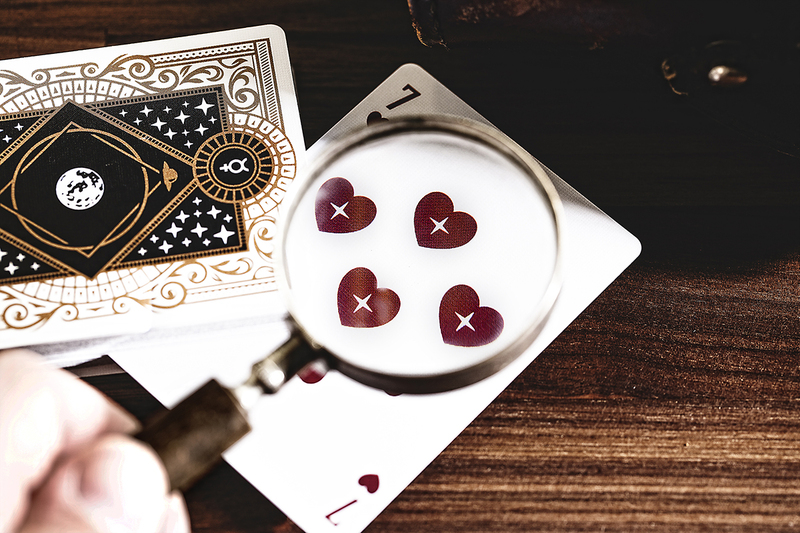 Two editions will be created with the same cards and different tuck cases: a standard edition of at least 2000 units with black stock and a limited edition of 500 decks with blue stock and numbered seal.